Images of Austin, Texas come to mind when I think about the words “Hot Rods” and “Customs”. The 9th Annual “Lonestar Rod and Kustom Round Up” is a huge convergence of classic Americana parading up and down Congress Street… The only rules? No imports and nothing newer than 1963. 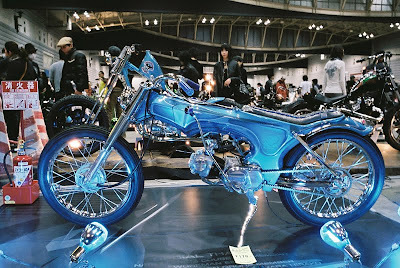 I can’t say those rules apply to the Yokohama Hot Rod & Custom Show, but the show is still quite impressive. 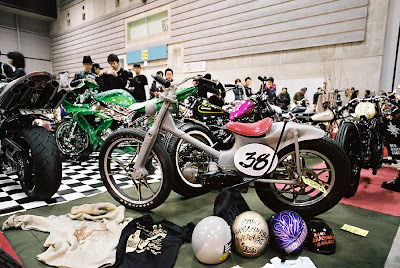 Here’s a couple of shots from our friend Kuroneko as shared from his Flickr account. Can you believe they were mild mannered Honda Cubs at one time?